Black decorative flower like vector icons set on an orange and yellow gradient background image. Beautiful and ornate emblems to make textile patterns, company logos, app icons, tattoos and collage designs. 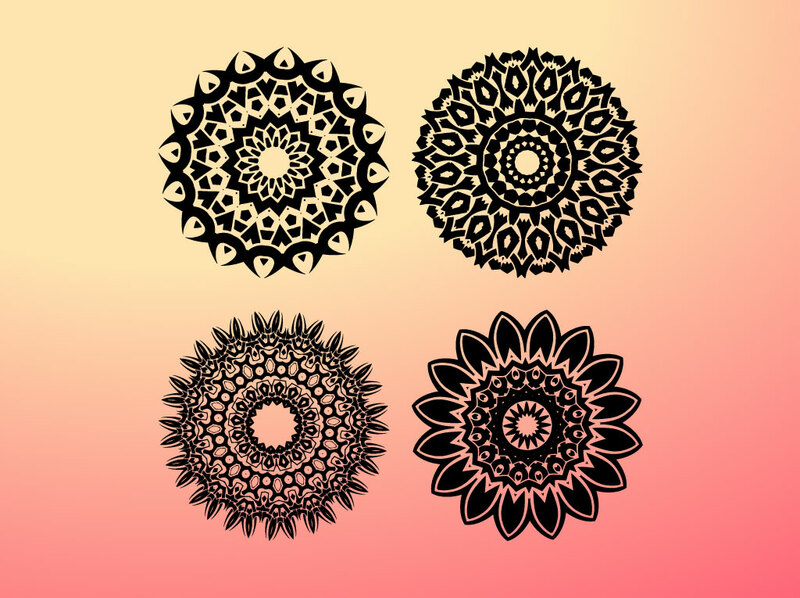 Free download for your stock tribal art and floral graphic collection. Tags: Decal, Decoration, Geometric, Ink, Ornaments, Sticker, Tattoo, Textiles.